While everybody wants a pearly white smile, white teeth are hard to attain unless you practice a thorough oral care routine. 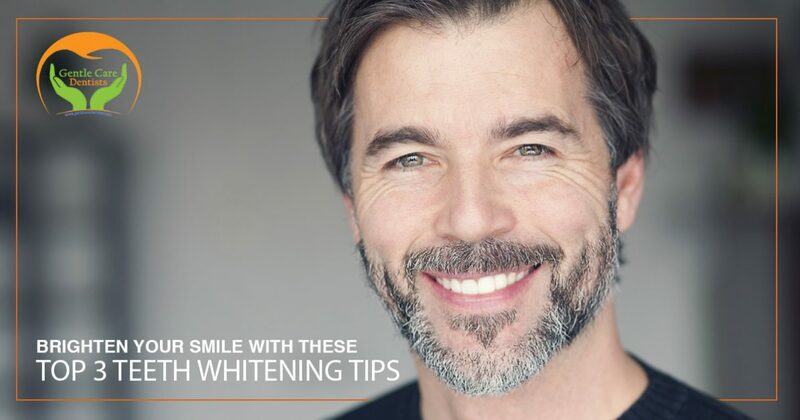 If you don’t have time to schedule a teeth whitening procedure with your local dentist, you may be looking for quick and easy ways to whiten your smile at home. 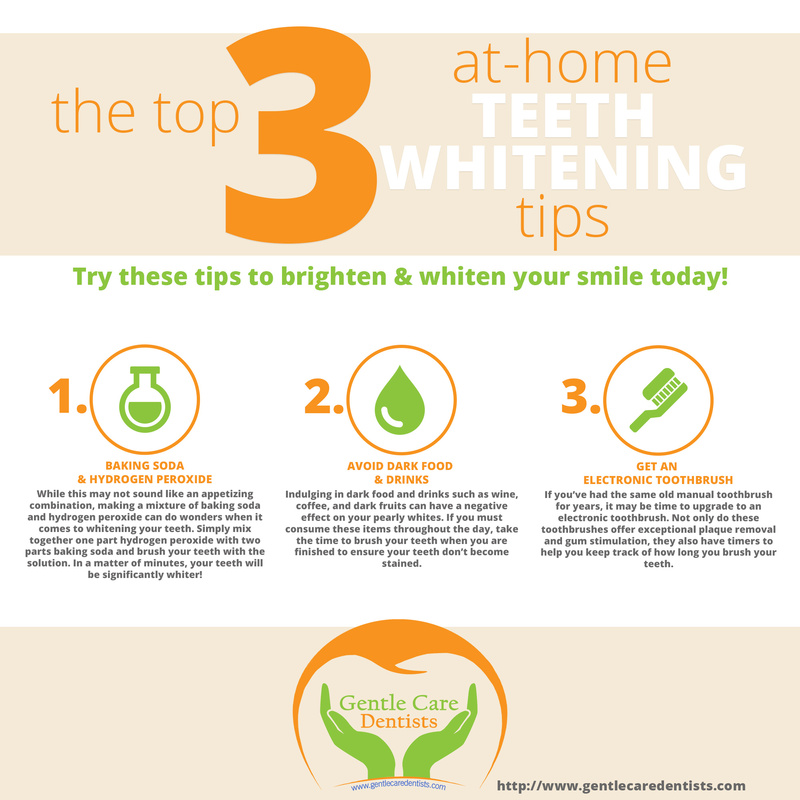 In this blog, we’ll take a look at the top three ways to brighten your teeth at home so you can feel confident and comfortable with your smile. If you live near Arlington and you’re looking for a dependable and friendly dentist, contact the professionals at Gentle Care Dentists today. As a Top Rated Local® dentist in Virginia, our staff is dedicated to providing superior dental services using the most advanced technologies available. 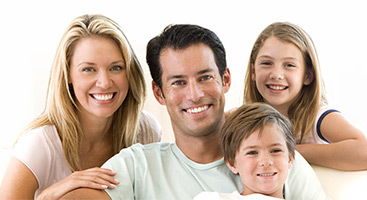 From dental cleanings and dentures to teeth whitening and veneers, we offer a full gamut of family and general dentistry services. If you’re interested in scheduling an appointment with one of our dentists, give us a call today! Looking for a quick and easy way to whiten your smile before that Christmas holiday party? An easy way to do this is to mix together one part hydrogen peroxide and two parts baking soda for a simple teeth whitening solution. With ingredients that fall under three dollars, it’s hard to imagine a better bargain for whiter teeth. Hydrogen peroxide has been known to lighten stains, while the baking soda acts as a cleansing and whitening agent. If you love to sip on red wine after a long day at work or you smoke cigarettes and cigars from time to time, it’s going to have a negative effect on your pearly whites. Other teeth-staining culprits include soda pop, gravies, and dark juices. When it comes to food and drinks, if it’s dark, it’s probably going to end up staining your teeth. To avoid the backlash of red wine, consider brushing your teeth after you finish a glass to ensure your teeth don’t become stained. While there are many ways to whiten your teeth at home, it’s important to ensure you visit your local dentist at least twice a year. Gentle Care Dentists in Arlington offers a variety of dental services including advanced teeth-whitening procedures to help you achieve the smile of your dreams. If you’re interested in learning more about our dentistry services or you’d like to schedule an appointment at our dental facility, contact us today!